The Tutaka contains articles of The Citizens’ Constitutional Forum’s activities, the organisation’s position on issues relating to human rights, good governance, democracy, constitutional issues, racial discrimination and leadership. It also contains CCF’s success stories in the community alongside opinions from prominent figures. 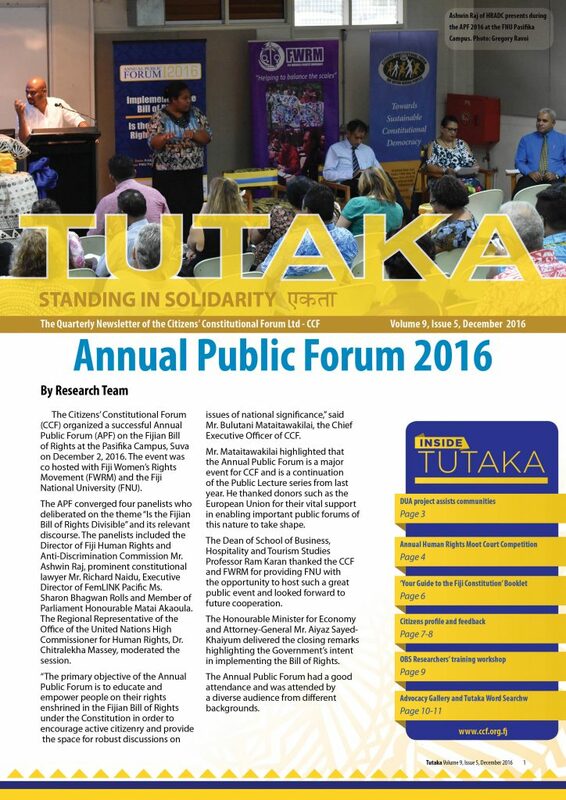 Click here to view the Tutaka December 2016 Issue. Please feel free to send an email to media1@ccf.org.fj to subscribe to the mailing list for Tutaka Newsletter. Vinaka!